Higher School Certificate at St Edmunds College, 1976. Commenced in real estate in 1978 as Assistant Property Manager for a Queanbeyan real estate firm, progressed through to Body Corporate Manager, Salesman and Valuer. Completed Associate Diploma in Valuation course in 1982. 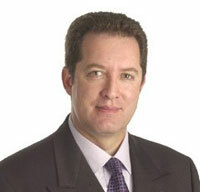 Associate of the Australian Property Institute. Prior to becoming a Director of Wright Dunn Real Estate Pty Ltd, managed a real estate firm in Canberra for some two and a half years. Main area of expertise being Sales both Residential and Commercial, Property Management, Body Corporate Management, Commercial Leasing, Residential Valuations and Auctions. Licensed Real Estate Agent, NSW. Licensed Stock and Station Agent, NSW. Registered Valuer in NSW No. 2411. Approved Co-operative Societies and Permanent Building Societies Valuer (NSW). Licensed Real Estate Agent, ACT. Licensed Stock and Station Agent, ACT.